Silversea Cruises will offer five ultra-luxurious ships sailing Europe in 2019. The Silver Whisper and Silver Shadow will offer Mediterranean cruises. The Silver Wind, Silver Cloud and Silver Spirit will offer Baltic & Scandinavia cruises. A chilled flute of champagne welcomes you. Your personal butler helps you unpack. And in the open bars and lounges, people from around the globe mingle in an ambience that is sophisticated, yet casual and relaxed. This is the world of Silversea. Ultra-luxury voyages that are intimate and all-inclusive. And now with Passport to Luxury, you can personalise your journey with an onboard spending credit to make it uniquely your own. Come let our smaller ships transport you to Europe's most intriguing destinations. Sail into small, secluded harbours not yet on the radar screen. Ask our Silver Shore Concierge to craft your own bespoke tour. Then return at night to the gracious hospitality that reflects our Italian heritage, to the intimate camaraderie and international ambience . . . and to the unpretentious ease of an all-inclusive lifestyle. All-inclusive luxury has been the cornerstone of Silversea since the very beginning. 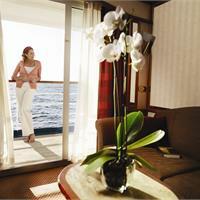 Seeing the Mediterranean has never been easier with Silversea Cruises convenient, seamless packages. Silversea's all-inclusive cruise fares feature Free Shore Excursions and WiFi Internet, or choose the Deluxe Package which includes a 2 Night Hotel Stay, plus Air Flights, Transfers, Shore Excursions and WiFi Internet. Experience the Mediterranean with a degree of luxury unmatched at sea - a spacious suite, exquisite cuisine, and the head-to-toe pampering by a butler. No wonder the world's most discerning travellers prefer the world of Silversea. After all, choice is the greatest luxury of all. From the firmness of your mattress to the softness of your pillow, Silversea's highly personalised style of travel is readily apparent in the choices available in your suite. This is your home away from home, so customise it as you please. Your butler can arrange everything for you. Come slip into something comfortable. Stretch out on the couch and watch a movie. Or sip champagne on your veranda while the ocean swims by. There's a private verandah in almost every suite so that you can breathe in the fresh ocean air just by stepping outside your door. And tonight if you're not in the mood to dine out - dine in. Care to invite friends in to join you? Be our guest. From Rome to the Riviera, Malta to Monte Carlo, Versace to da Vinci, Silver Spirit calls at the great cities and jet-set hideaways of France, Italy, Spain and Portugal. You can discover Gaudi's fabled architecture in Barcelona and meet Giotto and Donatello along the streets of Florence. Roam through souk-like Alfama Quarter in Lisbon and throw coins in the splashing Baroque fountains of Rome. Our newest ship also ventures into smaller harbours where big ships cannot go, such as enchanting Portofino on the Ligurian Sea and Capri, ancient playground of Roman emperors. 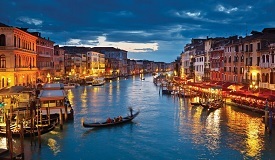 And thanks to Silversea's Italian heritage, we can show you these lands as only an insider can. Learn about the secrets of olive oil in an Etruscan farmhouse, or take a cooking class with one of the finest chefs in Provence. A cruise is the best vacation value in Europe, especially with Silversea's all-inclusive fares. Don't miss this exceptional opportunity to visit or revisit the world's most romantic sea. Join us on a voyage of discovery along the trade routes of ancient empires. Feel the power of the Ottoman sultans in Istanbul. Admire the pharaonic glories of Egypt. Discover the myths and legends of Ionian shores. The scenic splendour is legend: whitewashed Mykonos splashed in blue, Santorini with its fabled caldera, idyllic Corfu, perhaps the loveliest Greek Isles of all. But it is also historic riches that draw us to these shores. In Delphi you can walk the Sacred Way to the Temple of Apollo where the Oracle foretold the destiny of men. Stroll down the marbled streets of Ephesus where fallen columns echo the triumphs and tragedies of bygone ages. Discover the Biblical treasures of Jerusalem and the antiquity of the Peloponnese in Classical Greece. Come wander from island to island, village to village . . . and let the muses seduce.